The Chief Justice is in charge of overseeing the Student Court. The duties of the Chief Justice include making sure the rest of the Court follows proper procedures, casting the tie-breaker vote, and scheduling hearings and meetings. The Chief Justice is also responsible for choosing a Deputy Chief Justice who presides over the Court in the absence of the Chief Justice. Elizabeth Yelverton is a Senior Political Science major from Arlington, Texas. She became involved in Student Government as a freshman clerk for the Student Court. Last year, she served as an Associate Justice. 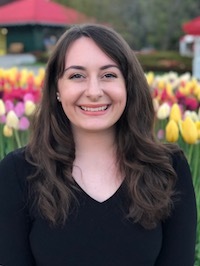 Elizabeth is passionate about the Court’s work, and her goal is for all students to be able to have their concerns heard fairly before the Court, and to make it more visible to the Student Body.